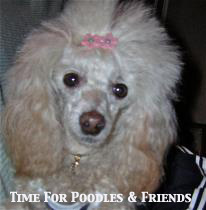 This is Cholie, our cousin who lives in Florida. 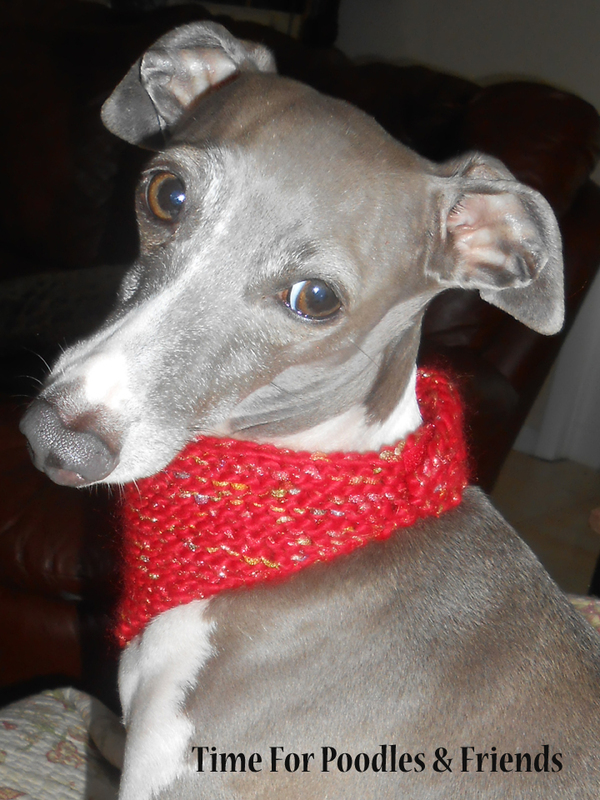 She is an Italian Greyhound and has a new scarf that Mom made her. Doesn't she look great in red? That's the most beautiful dog I have ever seen, she sure has one lucky owner! Great looking scarf too! And one lucky dog because I know how much the owner dotes on her! She looks fabulous - red & grey is a favorite color combo! Thanks, I think do too. I actually thought that they would be for Christmas-but when you look this good in red-it can be a year-rounder. I'm framing this photo for my bedroom.